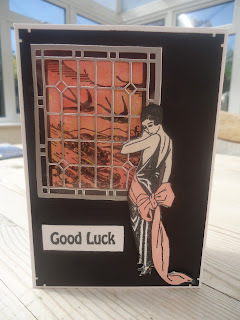 I've had a set of 3 silver window stickers kicking around for years, so I dug them out when I saw 2 challenges to make a card with a window. The stamps I used are all old too - the woman from Non-Sequitur; the scene (I cut off the word 'Monaco' ) is by Tin Can Mail (I used Distress Ink and Glimmer Mist for the background); the sentiment is by Anita's. 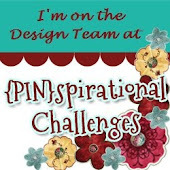 This project, inspired by the Fashionable StampingChallenges Steampunk challenge, has kept me busy for most of the week. 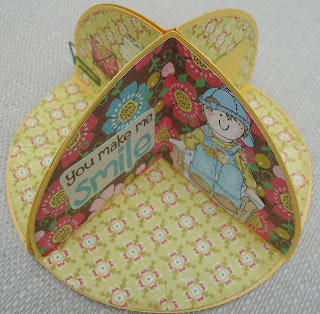 It’s another shot at a circle card and this made me think of a little story to tell in scenes. 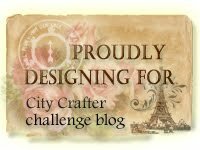 I hope I’m allowed to enter this into the FSC challenge as I know, they don’t allow digis and there are (I confess!) two digi images in this card. But I used 9 rubber stamps so hopefully, this will be pardoned. At first he was just an adventurous soul who loved to travel, who loved to experiment with new ways to travel……. 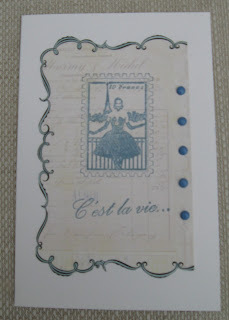 I made the background with distress inks, an Indigo Blu script stamp and balloon (7 Gypsies) . The cases are an unknown UM and the man is printed from My Craft Studio Tinkering with Steampunk. The 'wallpaper' is K and Company. The skull is another mystery UM. The fish is MCS again. ….until ultimately, he went too far….. This woman/mannequin is by Non-Sequitur and I have attached her on springs. Can't remember where I got the clock. ….and had to pay the price. This is my favourite 'scene', although probably not very steampunk-y. The woman is Non-Sequitur, the man and the words are Paper-artsy. The newspaper is from an acrylic set and I've lost the packaging! This card is a ‘commission’ from my daughter who is a student midwife. She wants a card to give to her ‘caseload’ woman , who has just given birth. The bunny image is from A Day For Daisies. I saw the instructions for this card shape in a Docrafts Creativity magazine. 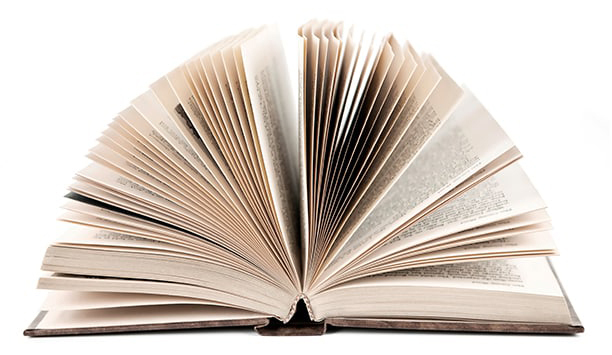 It is essentially a circular ‘star-book’. Very often I get confused by fancy folders and start gluing the wrong bits to the wrong things(!) but, although it took me a while, this kind of made sense to me as I put it together. I was quite cautious with this one as I don’t know how much dimension you can add and still fold it. I will be trying one of these again though. Echo Park papers – Life is good ; Boy, fence, birds, birdhouse stamps (Molly Bloom); sun stamp(Craft stamper freebie) ; kite stamp( October Afternoon , I think) cloud stamp (Kaisercraft) . The yellow shape is blank for a personal message. 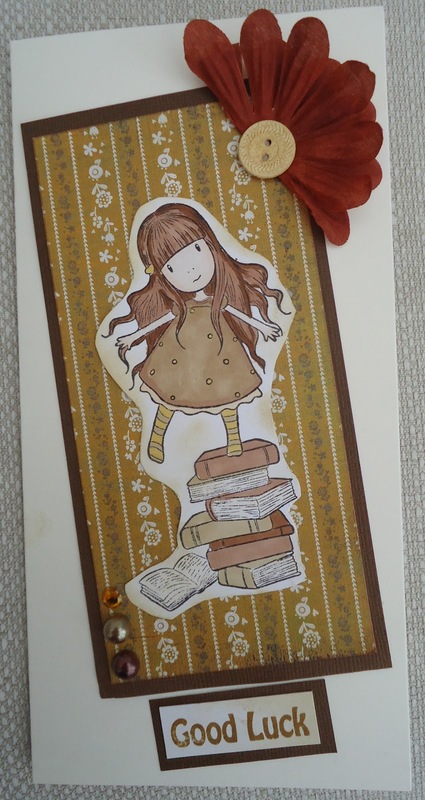 I thought this Gorjuss stamp, with the girl standing on a pile of books, would be good for wishing success in exams. Of course, I had to draw in the missing facial features; that's my quirk! After my grungy bird card last night, here’s a ‘clean and simple’ one. I really have no problem creating simple cards. But clean cards??? Keeping them clean is difficult! Ink seems to sneakily attach itself to my fingers and smudge itself over any white space. So I’m really quite pleased with this card. The inside, though, is a mess! I’ve used : Distress Inks in sage and moss; corner stamp by Co-motion; birds and sentiment from an acrylic set by Penny Black; and Promarkers. 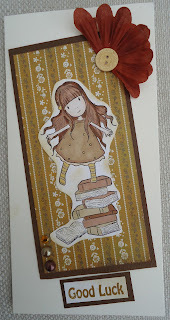 Less is More One Layer Card - use 3 stamps. Can I just reiterate how much I LOVE my Stamposaurus brickwork stencil?! For this card I used 3 colours of Glimmer Mists- Olive Vine with the brickwork stencil, Tattered Rose and Sunflower on the die-cut birds. That’s my entire collection of mists! Then I stamped the birds with a paisley print stamp from Blade Rubber and perched them on some baker’s twine (Simply Cards and Papercraft freebie). The background paper is Basic Grey. I had made a background with Distress Inks and the paisley stamp but it just didn’t look right in the end. 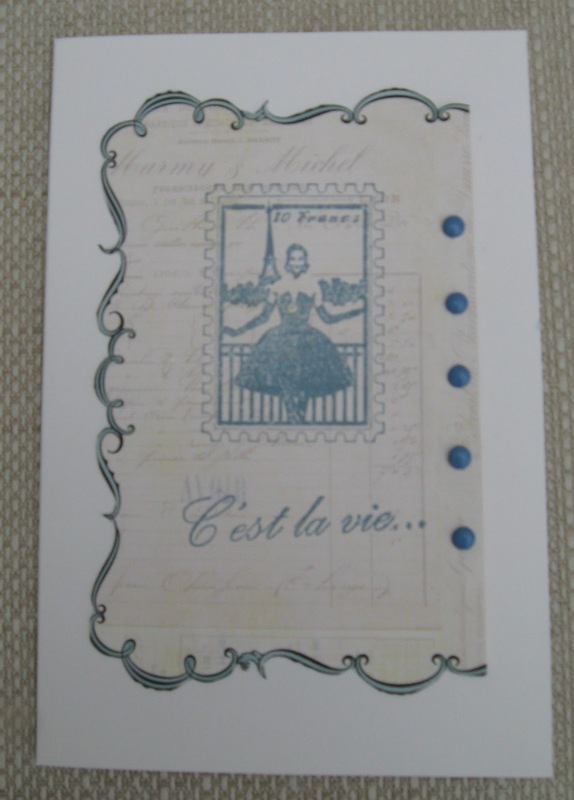 The sentiment and embellishments are clear epoxy stickers stuck onto paper. I bought a load of these years ago and they have yellowed, but I don’t think that matters for a grungy project like this. Why ‘yearning’? I rooted round for word embellishments or stamps and this was the only one I liked on this project. I don’t suppose I’ll be able to send it to anyone for their birthday though, as they’ll wonder what it means!! What am I yearning for? More Stamposaurus stencils! I don't think I've made a floral card for a while, but they're always handy to have around , aren't they? 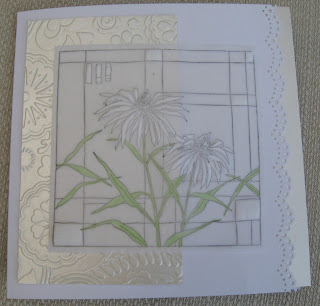 I stamped this image (Stamps Happen) onto vellum and embossed it on the petals to make them white. I coloured the leaves and stems from the back.I layered onto embossed pearlescent ivory card and punched the edge of the card. This digistamp of a mouse in a train is from Sweet and Sassy stamps and was part of a prize I won in a challenge. The papers were freebies with a magazine, years ago. I printed the stamp onto white card and coloured in the windows etc. I printed the train onto stripy paper and cut out and stuck it. 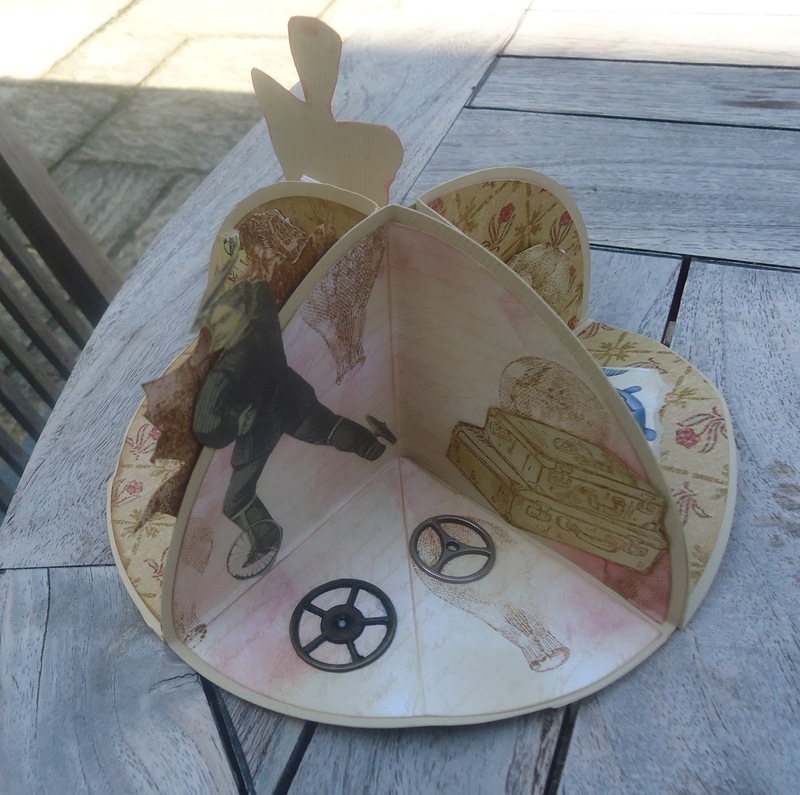 I cut the mouse and wheels again, coloured them in and layered with dimensional sticky things. I die cut a star out of chipboard, coveed it with the stripy paper and used a number sticker. Having a productive evening - better get to bed soon so I get to work on time tomorrow! The little houses were cut from a 12 x 12 paper by Fancy Pants. I've already used some of this sheet on a scrapbook layout and I've still got more than half a page left! Value! I hope you notice the brickwork background. This is a recent purchase - a Stamposaurus stencil - and I love it. What else did I use? A Cuttlebug embossing folder, buttons, stamp saying 'home' and Stampin Up cloud stamp. What trauma I've had getting a photo of this card! At the weekend my son pinched my camera and was running around with it, so I grabbed it off him and stuck it out of his reach.....where???? I managed to find another one but the light had totally gone and the colours are not very true. For this card I used an old rubber UM, origin unknown. I made the resist background with an Indigo Blu script stamp. I also use 2 shades of green Tim Holtz ink, Ivy Brilliance ink, a metal clock dial, a brad and sizzix clock hands cut from chipboard.